Are you shopping for new vehicles with great fuel-efficiency ratings and capable specs? Before you head to the nearest Nissan dealership, consider a Honda! Whether you’re comparing the Nissan Rogue vs. Honda CR-V or Nissan Pathfinder vs. Honda Pilot, you’ll notice greater performance from the Honda. Compare Honda vs. Nissan vehicles below to find one that’s right for you! You’ll be backed by generous coverage with both auto brands. New Honda and Nissan vehicles come with a 3-year/36,000-mile limited warranty. Both Nissan and Honda also offer a 5-year/60,000-mile powertrain limited warranty. When you buy a Certified Pre-Owned Honda, you’ll have more peace of mind knowing that you are getting a vehicle in great condition. This is because Honda CPO vehicles are more thoroughly inspected. While Nissan CPO vehicles are required to pass a 167-point inspection, Honda vehicles go through a 182-point inspection to become Certified Pre-Owned. When comparing the Nissan Rogue vs. Honda CR-V in terms of performance, the CR-V is more powerful and capable. With its 2.4L 4-cylinder engine, it generates 184 hp and 180 lb-ft of torque vs. 170 hp and 175 lb-ft of torque from the Rogue. Thanks to its performance specs, the Honda CR-V has a towing capacity of up to 1,500 pounds, while the Rogue manages just 1,102 pounds. The 2019 Honda Accord is powered by a 192-hp 1.5L inline-4 engine, while the 2019 Nissan Altima gets a 188-hp 2.5L inline-4. City fuel economy ratings favor the Honda Accord. With its base engine and CVT, the Accord LX earns 30 mpg city/38 mpg highway*. The Nissan Altima earns 28 mpg city/39 mpg highway. Also, while the Nissan Altima comes standard with forward collision warning, it doesn’t include the many features found in the Accord Sedan’s standard Honda Sensing® package. The 2019 Honda Pilot offers seating for up to eight people, while the 2019 Nissan Pathfinder seats seven. Additionally, the Honda Pilot earned a higher overall safety score from the National Highway Traffic Safety Administration (NHTSA). The 2019 Honda Pilot earned a 5-star overall safety rating from the NHTSA**, while the Pathfinder earned a 4-star rating. You’ll also get more room in the Honda Pilot. With its rear seats folded, the Pilot offers up to 83.9 cubic feet of cargo space vs. 79.5 cubic feet in the Pathfinder. When comparing the Nissan Sentra vs. Honda Civic, it’s clear that the Civic is stronger and more efficient. The 2019 Honda Civic is powered by a 158-hp 2.0L inline-4 engine, making it stronger than the 2019 Nissan Sentra with its 124- to 130-hp 1.8L inline-4. It’s also more fuel-efficient. With its base engine and available CVT, the Civic Sedan earns 30 mpg city/38 mpg highway*. The Nissan Sentra earns just 27 mpg city/35 mpg highway. Unlike the Sentra, the Honda Civic is available with adaptive cruise control for a more relaxed ride through Kamuela or Keaau. 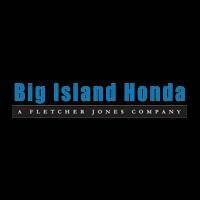 Test Drive a New Honda in Hilo or Kailua-Kona! On the whole, a Honda vs. Nissan comparison shows the capability and efficiency of the Honda brand, backed by exclusive technologies like Honda Sensing®. Schedule a test drive with one of the above models at Big Island Honda in Hilo & Kona, serving Waikoloa, Pahoa, and nearby areas. Looking for something more compact than the models listed above? Compare the Honda Fit vs. Nissan Versa! You can also further your brand research by comparing Honda vs. Toyota.